With all the trouble I had getting started this year I am so happy to see everything finally kicking in. Here is how the garden is doing. I pulled the shallots yesterday and hung them up to dry today. They can be used right away but need to be cured for storage. 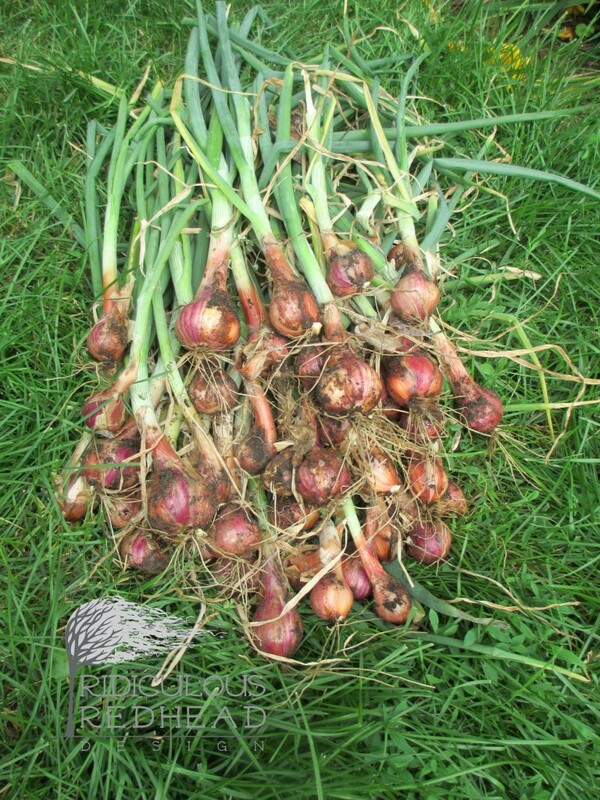 We got 42 shallots which could be more since there are sometimes a few clustered together inside the paper. They smell wonderful when you pull them out. We had a family of bunnies living in between the shallots this year and that mama did a wonderful job of not disturbing any of them. Whenever she moved things around she always reburied everything. She really is a wonderful house guest. 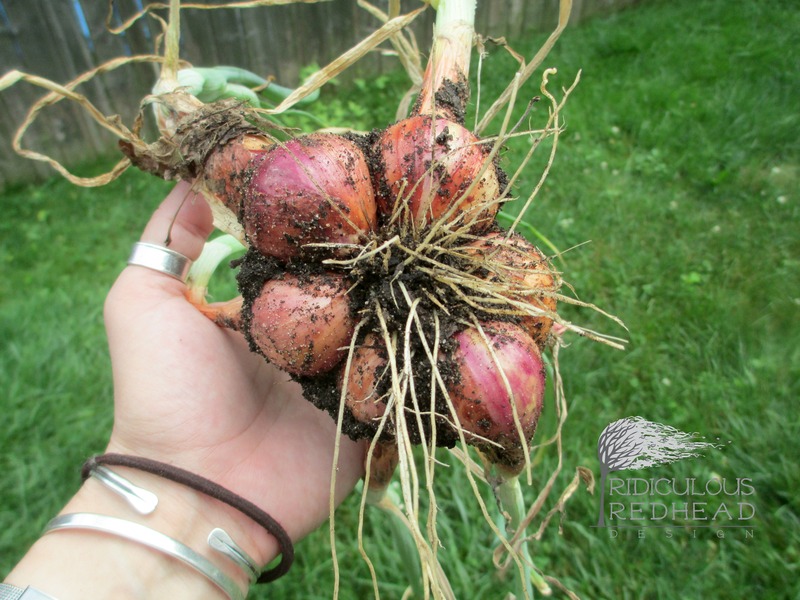 In the fall you plant one little shallot as a seed and when you pull them in summer, they come out as a cluster. The new garden that I took over this year is doing great. Now that the fence and trellis is done and things are planted mother nature is no longer waiting on me. 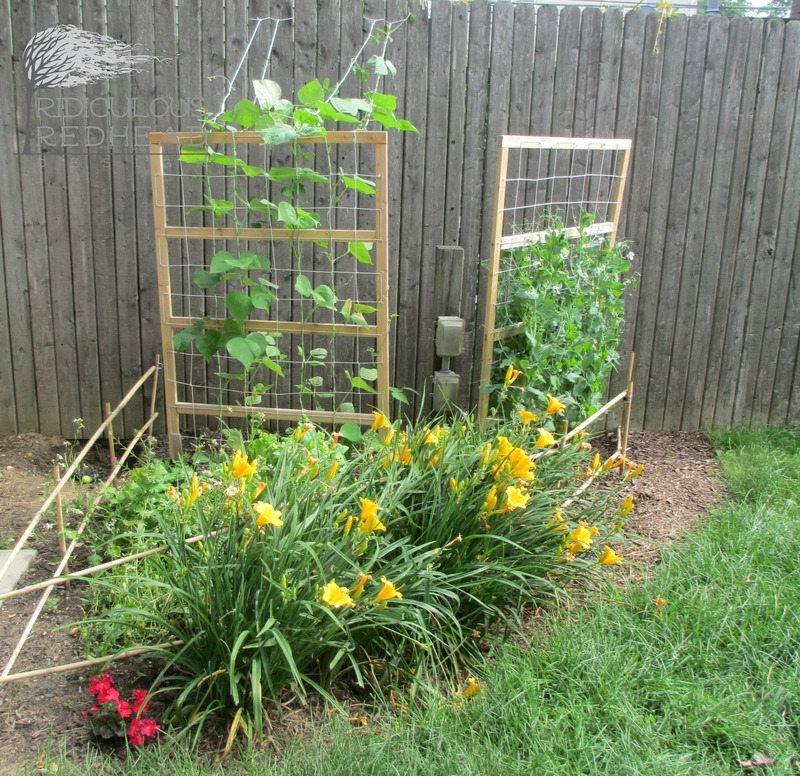 On the left trellis are Blue Lake pole green beans that are already too long for the trellis. 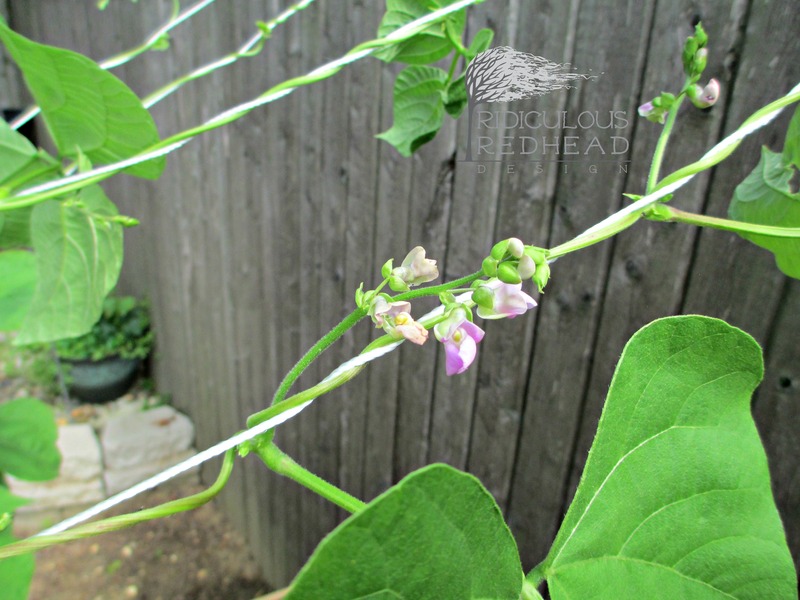 I may them about 4 1/2 feet but these beans can go to 6-8 feet long. I added the string to give them some more room and then pinched the end when they got to the end of that. 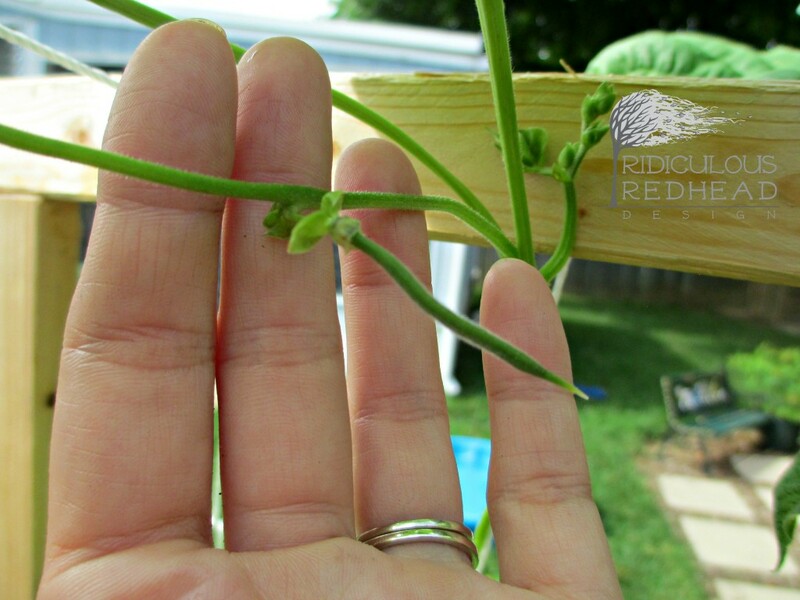 At first it was just one long vine on each plant but now it is starting to fill in. I planted 10-15 of these plants and only ended up with 4. I’m going to chalk it up to a hard spring. 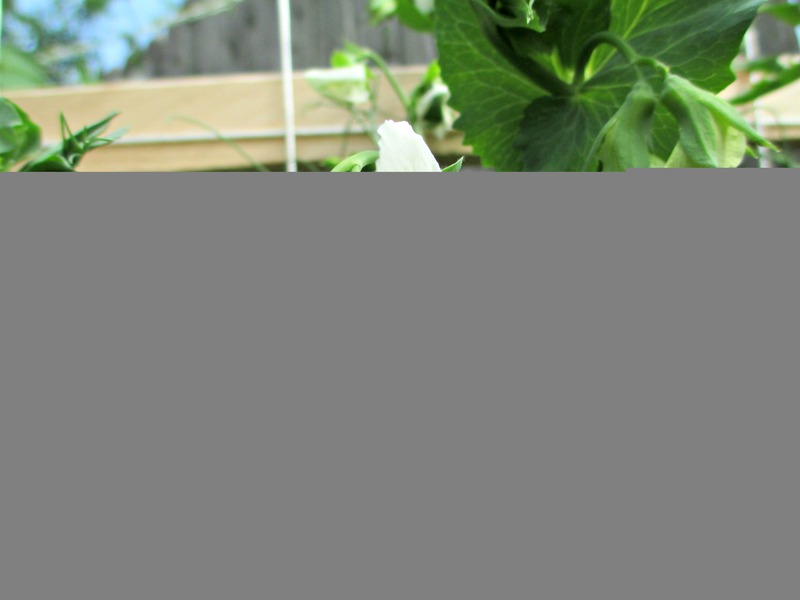 The green beans have started flowering and they are worth having in the garden in their own right. So pretty. And a tiny little green bean! In front of the green beans is all the lettuce that is bolting from the heat. I don’t think I got any of the arugula before it went to seed. 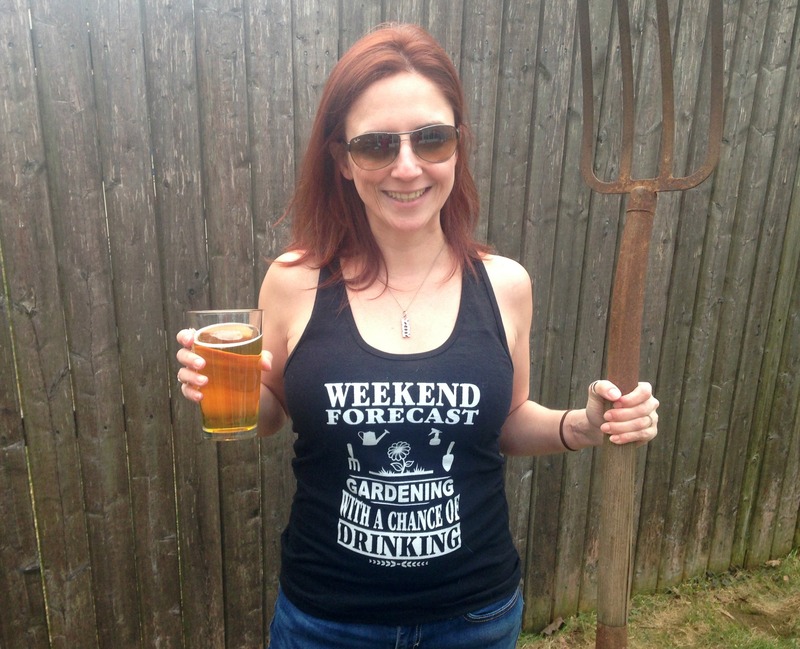 I am just letting it go and hoping that I will have a nice fall crop I don’t have to plant. In front of the fence are lilies that you see a lot around here. They are hardy and bloom all summer. This is a perfect buffer to protect the food from Opie lifting his leg. The little pink flower is a geranium I took home from the Habitat for Humanity luncheon centerpiece and stuck in the ground. It seems very happy. 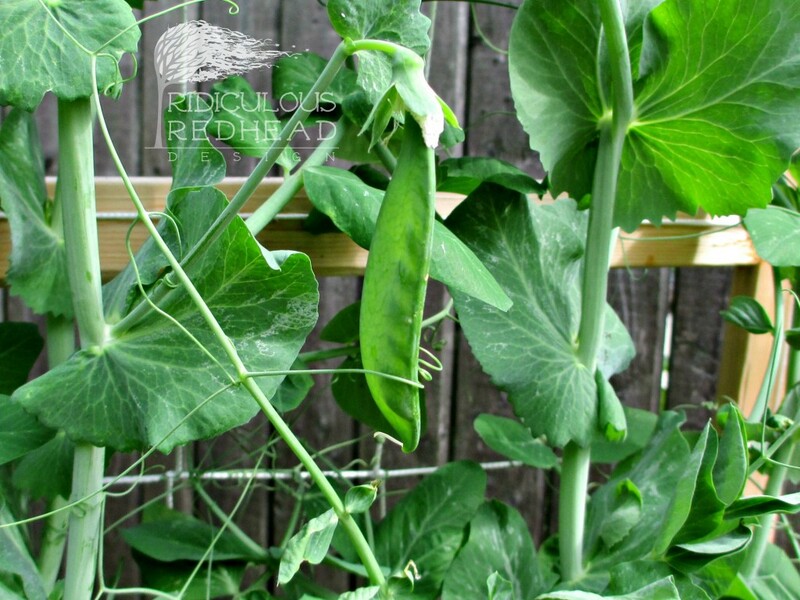 The right trellis has Green Arrow Shelling Peas and they are taking off. 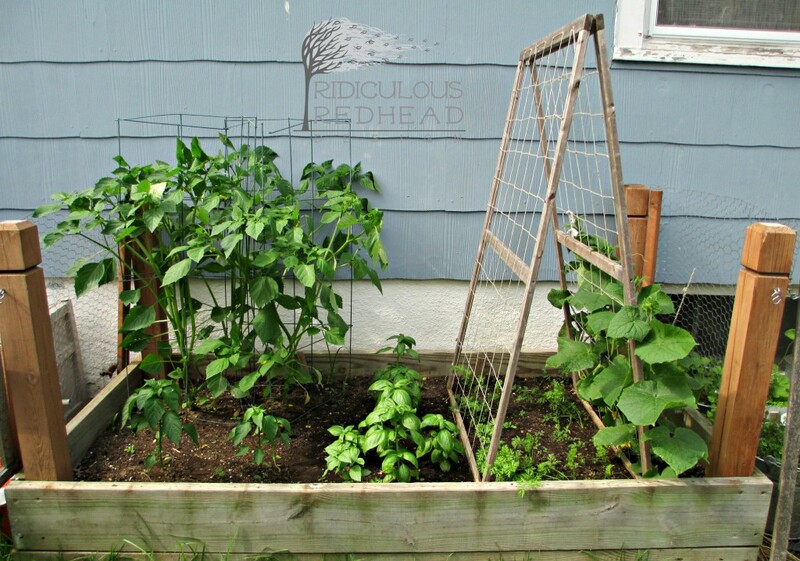 I planted about 10-12 plants on each side of the trellis and almost all of them took. 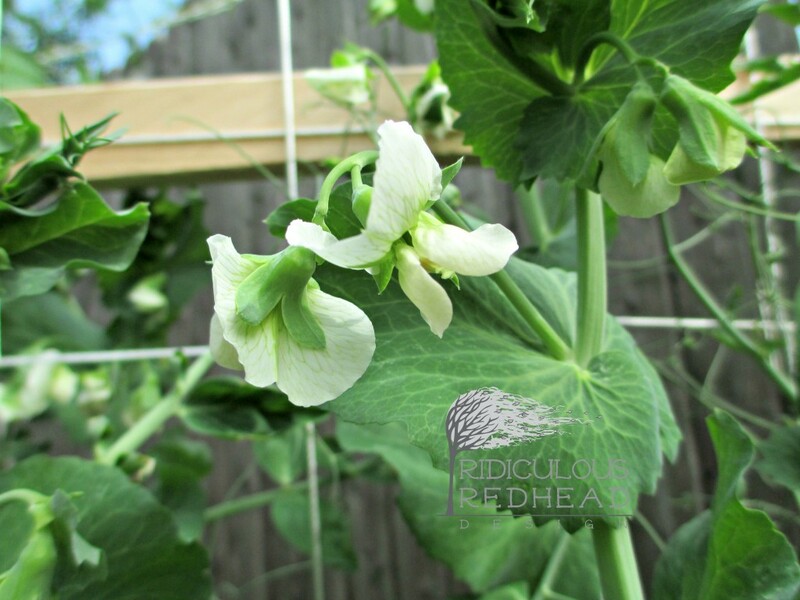 We should have lots of peas very soon. Those flowers are very pretty too. They belong in a cottage garden. Both trellis are utilitarian but all add something nice to our landscape where before we just had that pole with the electric. 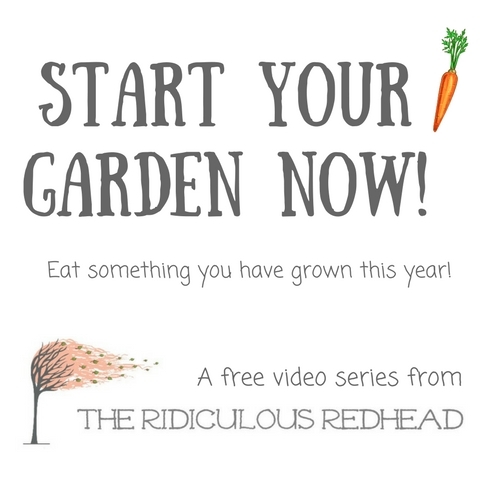 Over on the other side of the garden the other veggies are kicking in too. The huge things on the left are two purple tomatillo plants. I think you can actually see them growing it’s going so fast. I have to read up a little on pruning them. In front of those are three poblano pepper plants where I only have room for two. I was waiting to see who was the strongest before picking who stayed. On the right are cucumbers that are being trained up the trellis now that they are big enough. I planted 6 so I could thin down to 3 but of course I let them all grow. I will regret this in about a month. Under the trellis are the carrots. In the center running front to back are a ton of basil plants. I had a hard time with the seeds this year and thought I wasn’t going to get any so I kept starting more. Apparently it wasn’y that they weren’t going to grow but that they just weren’t ready. That will all be a mess soon enough. Not only was I having a problem starting seeds this spring but I apparently was having a problem keeping them straight. 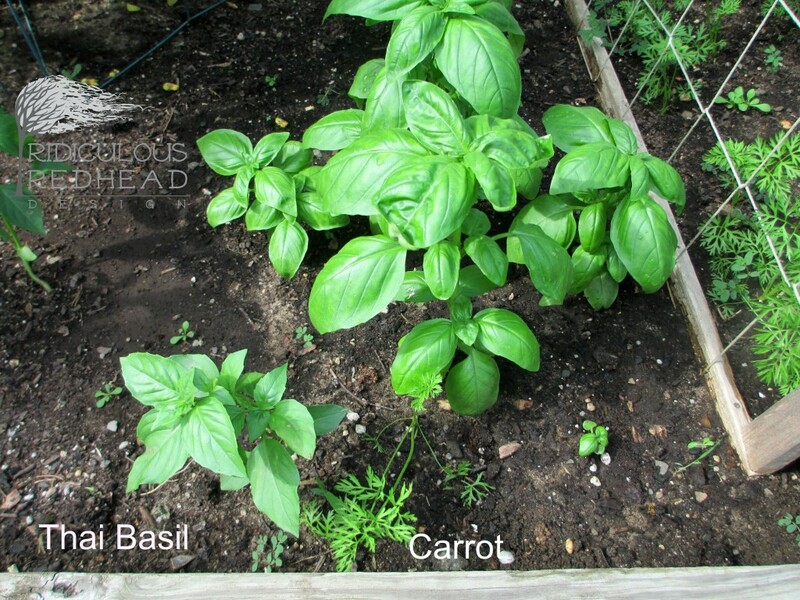 When I planted the basil plants I had started, I initially planted some of the thai basil here because I was trying to avoid the milk jugs containers with the names on them as much as possible. I knew there was a spider living in one of them so I was trying to be quick. Once I realized my mistake I took them out and put the sweet basil in. All except for one. They look very similar in the beginning. Also I have random carrots growing because I guess the tiny seeds got stuck to my hands. 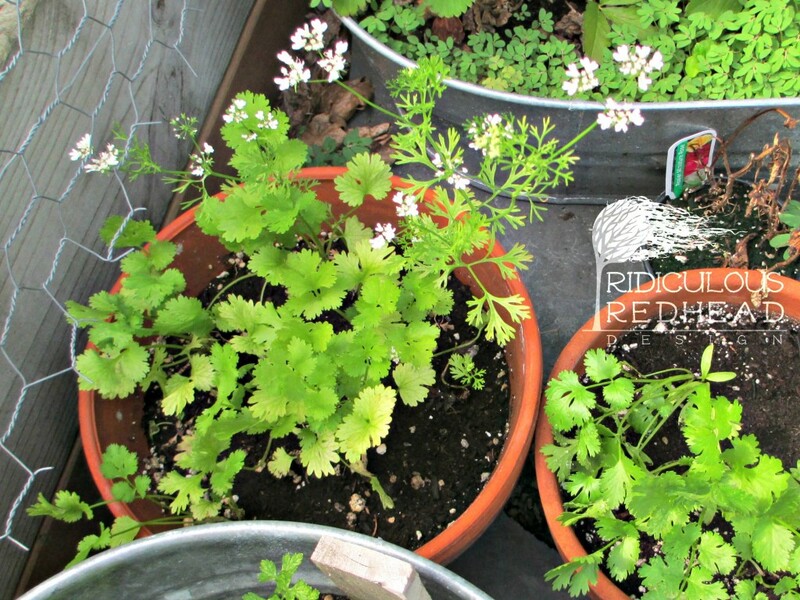 There is another carrot growing in the cilantro pot too. I left it since the flowers are pretty. I have never had this much cilantro growing all at once. It’s hard to grow because it bolts to seed in the heat but it’s been raining for weeks so it seems to be happy. After days of 90 degree heat, today is beautiful. I think I am going to head back outside to plant something somewhere.